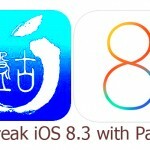 This is the complete tutorial for how to jailbreak iOS 8.3 – 8.1.3 with Cydia using untethered TaiG jailbreak. All iPhone, iPad or iPod devices are running iOS 8.1.3, 8.2 or 8.3 welcome to jailbreak & install Cydia with latest TaiG tool with super fast & easy steps. just follow the instructions are given below to success.. Please backup your data before jailbreak. If you aren’t already at iOS 8.3, strongly recommend you to update your firmware to iOS 8.3 using iTunes. Step 02 >> Download & extract New TaiG jailbreak v2.2.1 on your computer. Step 04 >> Right click on the extracted “TaiGJbreak_EN.exe” file & select “Run as administrator” for launch the program. Step 05 >> Then, the Program will detect your device & shows your device’s firmware on the window. Uncheck the “3K Assistant 2.3.0” check-box to prevent installing Chinese app store. Step 06 >> Click “Start” to begin jailbreak. Keep your device well connected and wait patiently. Just ignore If you see storage full errors. Step 07 >> Once the jailbreak completes, you will be shown “jailbreak succeeded” massage. Then, your idevice will reboot and you can see Cydia app on your Homescreen. 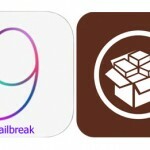 How to install Cydia for iOS 8.4 with TaiG jailbreak? TaiG jailbreak 2.2.0 updated for iOS 8.4 ! 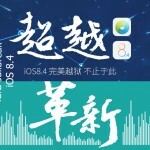 ‹ TaiG jailbreak for iOS 8.3 / 8.2 / 8.1.3 released..! Pls reboot your device again. Im having the network anomalies error what should i do? Reboot your device and machine and Run TaiG again.